Getting real-time feedback from employees can be your secret weapon. A Q&A with Tasha Eurich, an organizational psychologist, researcher and New York Times bestselling author of Bankable Leadership. Thrive Global: Why does cultivating self-awareness make you a better leader? 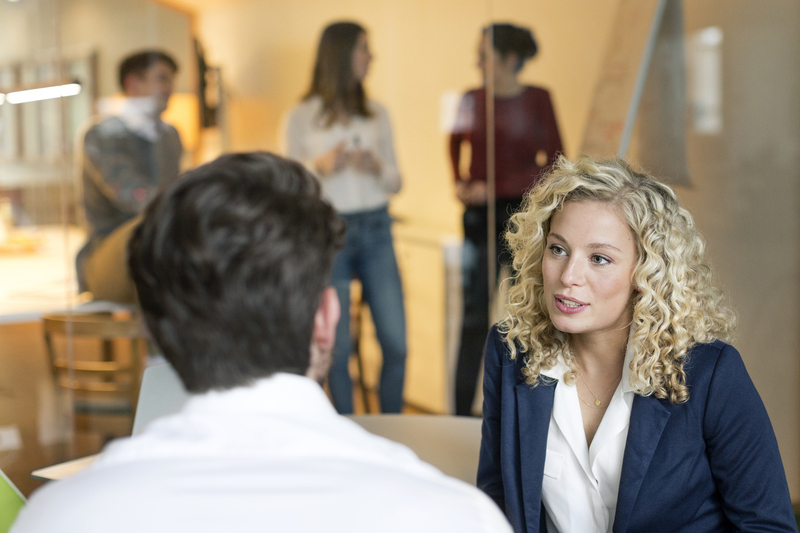 Tasha Eurich: Self-awareness is one of the most important skills that leaders can develop to be not just more successful but more fulfilled and happy with their work. Research shows that leaders who develop self-awareness are better performers, are more promotable and have more engaged employees. There’s even evidence that they lead more financially successful companies. All of those things in total seem to make it clear that every leader should work on this skill, but what’s interesting is how often leaders put it off. They say, “when I have time, I’ll get feedback,” when in reality, they can impact all of their immediate goals by understanding themselves more clearly. TG: Having a strong self-knowledge can help you find your sense of purpose. How will this benefit your career and life? TE: The best way to think about that is to look at two hypothetical examples. Kim might have gone to college and declared to study pre-med just because her parents wanted her to. Maybe she chose pre-med because she didn’t really know what she wanted to do, so she thought she might as well do what her family expected. Maybe she becomes a doctor and ends up getting burnt out. Maybe she doesn’t feel like what she’s doing is as important to her as another career could have been. Mary, on the other hand, used college to figure out what she wanted to achieve in life. Maybe she determined she wanted to be an artist, and went into that field knowing it would be difficult but truly believing that’s what she was put on this earth to do. Mary might struggle more in her career, but if she’s doing something that’s personally meaningful to her, she will be a happier, more gratified person. And we know pretty clearly that those types of choices don’t just affect our feelings about the work we do, but they also spill over into all aspects of our lives. People who figure out what it is they’re passionate about are the ones with the most meaningful careers. TG: What are a few simple ways to build self-awareness? TE: Most people have more work to do on their self-awareness then they think they do. Our research has shown that 95% of people think they’re self-aware but only 10 to 15% of people actually are. Self-awareness is truly a lifelong journey. My research with highly self-aware people shows they actually work the hardest out of anyone. We can’t just wake up one day and do a couple of things and become self-aware. No matter how much we already know, there’s always more to learn. That being said, we’ve found in our research a couple things most self-aware people have in common. The first is they introspect, but they’re careful not to overthink. Self-aware people are very strategic. In some cases, they actually spend less time examining themselves than the average person. They do it in a results-oriented way. One way they do that is what we call the daily check-in. At the end of the day, ask yourself three questions. 1) What went well today? 2) What didn’t go as well today? 3) How can I be smarter tomorrow? The beauty of this quick process is it helps us take stock of our day without turning it into an exercise in rumination, where we’re going over the things that didn’t work in a way that isn’t beneficial to our self-awareness or well-being. The second thing self-aware people do is they take ownership of getting feedback. 1) Find someone who you’re positive wants you to be successful. At work, not all feedback is well-intentioned and not everyone wants you to succeed. So it’s very important that the people you show this vulnerability to really do want you to succeed. 2) You have to believe that person is willing to tell you tough truths, especially when it’s hard to hear. Loving critics are pretty rare. I suggest choosing three to five people in your daily orbit who can fulfill that role and asking them for feedback to help you become a better leader and professional. TG: How can a deeper understanding of your skills, shortcomings and values help you navigate challenges? TE: No matter how successful we are, we’re bound to face struggles, whether it’s getting a negative performance evaluation or not getting a job we thought we were going to get. Self-aware people leverage those experiences and grow from them. For example, if I lose a promotion, I’m going to do everything I can to make sure that situation never happens again. As a leader, having a process in place where you’re able to get real-time feedback from employees can be your secret weapon. Research shows that when you’re in a position of power, it becomes more difficult to take the perspectives of other people, and the higher up you ascend on the corporate food chain, the less self-aware you tend to be. That doesn’t make us bad leaders or bad people; it’s just the nature of being in a position of power. If you’re a leader and you feel overwhelmed, getting people to tell you the truth and help you understand what you can do differently is what can make you unstoppable.